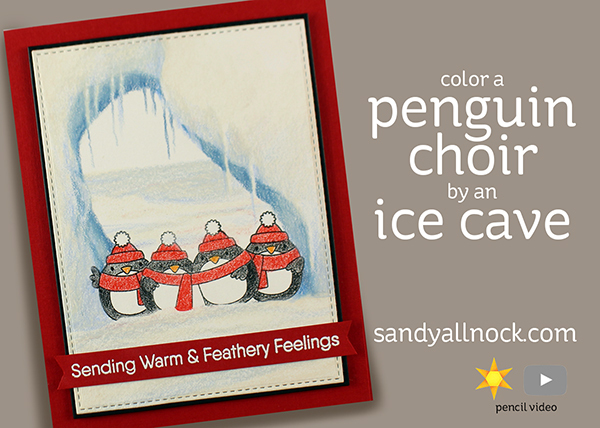 When you’re stumped to find a background to add to a penguin card – it’s Google to the rescue! I did a search for penguin habitats, and one picture had a cool archway with icicles hanging down. I just had to try it! It reminded me of the Underwater Scenes class caves underwater….and then the little birdies from the recently-released Tweet Holidays set, with their birdie-feet and birdie-tails masked off, looked like penguins in the snow! Watch the video below or click HERE to see it in HD on YouTube. 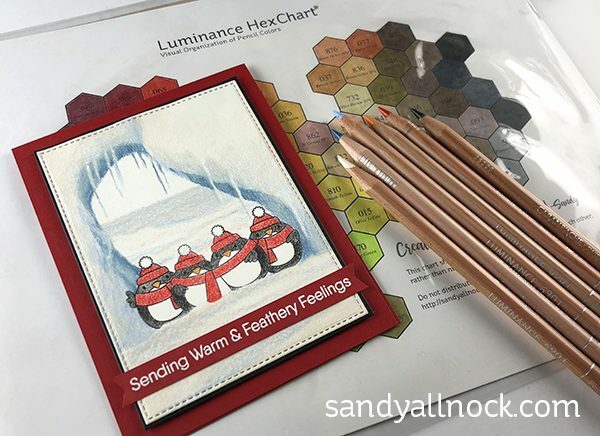 I colored these with Luminance pencils – and a word about all of the Hex Charts: if you bought them here on my blog, then your downloads are available here. But if you buy it over at art-classes (which you can now do while buying a class, all in one purchase), then it’ll be over there. Completely adorable. I loved watching the cave appear around the ‘penguins’. It was awesome. Thanks so much for sharing. Love that. Yellow snow would mean a dog was there. So glad that you are having a cute penguin week. This is fabulous, seeing the cave slowly form was amazing. Thank you. Such a wonderful card! I would never have tried that, but you make it look possible. It’s more than adorable and it’s enchanting. I saw the Ice Cave growing, Sandy you are such a great artist! Using the 801 was a very good choice, it gave the snow a more snowy look, if that is correct English, but you will understand what I am trying to say. Thank so much for showing. 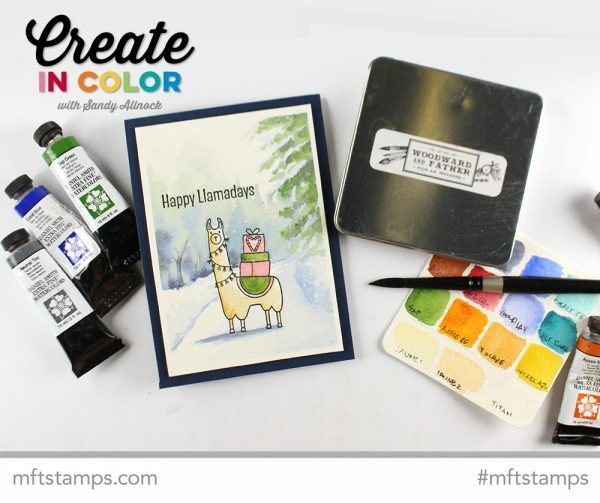 I am so appreciative of your sharing your creations. Here you’ve taken non-penguins and made them penguins. You’re a magician when using your artistic talents. Heartfelt thanks. Love the card Sandy! Penguins are my favorite!! Love this, Sandy! Would love to try this myself!